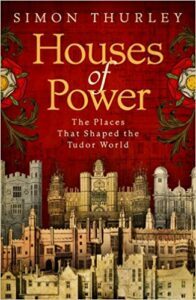 Houses of Power tells the architectural history of the Tudor monarchy. It brings together thirty years of writing, research, thinking and digging into the architecture and social life of the Tudor court. 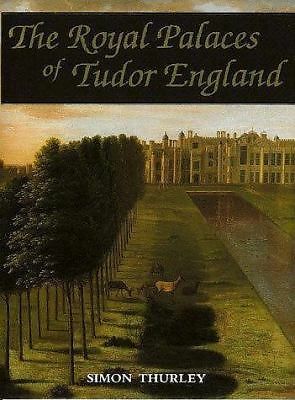 It turns a mass of my periodical literature and several of my previous books about royal houses into a completely fresh story about the Tudor court and its buildings. John Guy in the Literary Review calls it ‘a riveting account’; Christopher Howse in the Saturday Telegraph, ‘Immensely informative’, Dan Jones in the Mail on Sunday ‘Fresh, learned, readable and full of life’, while the Saturday times calls its beautiful design ‘suitably opulent’ and says my ‘enthusiasm steadily bubbles forth from Houses of Power’. Published in November 2013 this is my history of architecture in England, the labour of four years of Sunday afternoons, snatched moments amidst the children’s suppertime and some chunks of annual holiday. 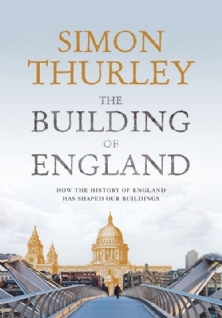 It is a history of English buildings; but, it is intended to be more than that: it is about the beliefs, ideas and aspirations of the people who commissioned them, built them, lived in them and saw them going about their daily business. It is about how people discovered new ways of building, both for improved structural performance, and for enhanced aesthetic effect. It is about how buildings reflected changing economic circumstances, shifting tastes and fashions. It is about the architectural expression of power, of hierarchy, of influence. It is the history of a nation through what it built. Brilliantly produced by my excellent publisher William Collins it has over 540 illustrations with lots of plans and diagrams. Though it has no bibliography it does have good and full notes which should help people follow up their interests. ‘A well overdue celebration of a great national achievement’, Jada Dams, Who do you think you are? 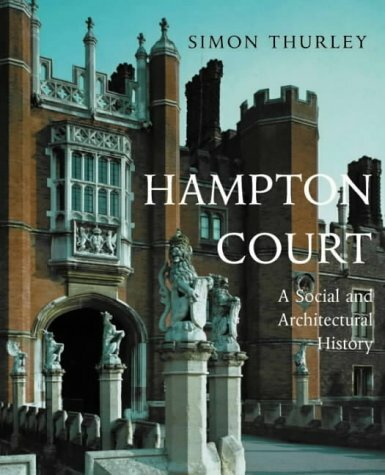 Hampton Court Palace: A Social and Architectural History, (Yale, 2004). Mark Girouard’s comment in the TLS quoted above referred to the fact that it was known that my next project was writing up over fifteen years of research on Hampton Court. The start of this had been my MA dissertation. The book set out deliberately to meld together architecture and social life as I had done in my first book but to apply the methodology to a single building. It was a big and detailed book Bill Bryson, choosing it as one of his books of the year in 2004 said it was ‘That rarest of things a coffee table book that is also a supremely engaging read… The only downside is that if you fall asleep reading it in bed, you could be crushed’. Whitehall Palace. An Architectural History of the Royal Apartments, 1240-1698, (Yale University Press, 1999). My second big book for Yale University Press was an entirely different thing. 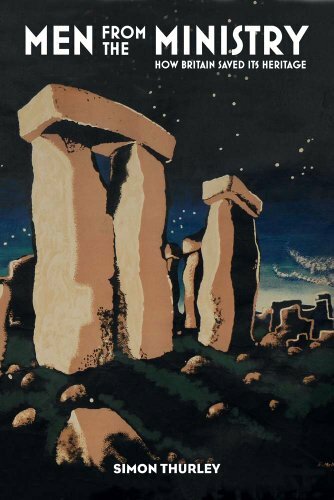 Whitehall had been excavated in the 1930s and 1950s and none of the excavators had ever written up their finds. I took on the task of doing the job for them. It was an exercise in the archaeology of archaeology, piecing together documentary evidence, the archaeological records and other sources to reconstruct the residential parts of Whitehall palace. It was a big and difficult job and one that is unlikely that anyone will try again – not least as I had access to the surviving excavators – all now dead. H. M. Port, who taught me as an undergraduate and who had worked on the material said in the London Journal that the book’s ‘…scrupulous research’ made it now ‘…the fundamental source for further studies relating to the English Court and government’. Very kind. 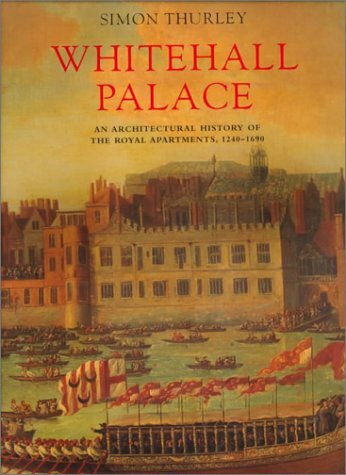 Whitehall Palace, an Architectural History of the Royal Apartments 1260-1698, (Yale University Press, 1999). The Whitehall Palace Plan of 1670, (London Topographical Society Publication, 153, 1998). The Lost Palace of Whitehall, (Royal Institute of British Architects, Exhibition Catalogue, 1998, reprinted 1999). The King’s Privy Garden at Hampton Court Palace, 1689-1995, Ed., (Apollo, 1995). The Royal Palaces of Tudor England: A Social and Architectural History, (Yale University Press, 1993). Henry VIII, Images of a Tudor King, (Oxford, 1990, reprinted 1995 with corrections) (With Christopher Lloyd). ‘Henry VIII and the Building of Hampton Court: A Reconstruction of the Tudor Palace’, Architectural History, 31, (1998), pp.1-57. ‘Excavations on the West Side of Whitehall 1960-2 Part I: From the Building of the Tudor Palace to the Construction of the Modern Offices of State’, The London and Middlesex Archaeological Society Transactions, (1990), pp.59-130. ‘The Tudor Kitchens at Hampton Court’, Journal of the British Archaeological Association, CXLIII, (1990), pp.1-28. ‘Whitehall Palace and King Street, Westminster: The Urban Cost of Princely Magnificence’, London Topographical Record, XXVI, (1990), pp.57-77, (with Gervaise Rosser). ‘The Building of the King’s Apartments, A most Popular Monarch’, Apollo, CXL, (1994), No. 390, pp. 10-21. ‘William III’s Privy Garden at Hampton Court Palace: Research and Restoration’, Apollo, (June, 1995), pp.3-22. ‘The Royal Lodgings at the Tower of London 1240-1320’, Architectural History, 38, (1995), pp 36-37. ‘The Stuart Kings, Oliver Cromwell and the Chapel Royal 1618-1685’, Architectural History, 45, (2002), pp.238-274. ‘Architecture and Diplomacy; Greenwich Palace under the Stuarts’, The Court Historian 11.2 (January 2007) pp.21-29. ‘Kensington Palace: an incident in Anglo-Dutch architectural collaboration?’ The Georgian Group Journal (XVII) 2009, pp.1-18. ‘The Cloister and the Hearth, Thomas Wolsey and the plan of the late Medieval Episcopal Mansion’ Journal of the British Archaeological Association, 162, (2009), pp.179-195. ‘The Domestic Building Works of Cardinal Wolsey’, Cardinal Wolsey: Church, State and Art, Eds., S. Gunn & P. Lindley, (Cambridge, 1990), pp.76-102. ‘Greenwich Palace: The Banqueting House of 1527, The Sport of Kings’, in Henry VIII, A European Court in England, Ed., D. Starkey, (National Maritime Museum, Exhibition Catalogue, 1991), pp.20-26, 64-70, 163-172. ‘Tudor and Jacobean’, The Elements of Style Ed., Stephen Calloway, (Mitchell Beazley, 1991, second edition with revisions, 1996), pp.12-39. ‘The Palaces of Henry VIII’, Architecture et Vie Sociale à La Renaissance, L’organisation Intérieure des Grandes Demeures à la Fin du Moyen Age et à la Renaissance, Ed., J. Guillaume, (Picard), (1994), pp.97-106. ‘The Restoration of Hampton Court’, in Das Schloss und Seind Ausstattung (Icomos, 1995), pp.67-71. ‘Whitehall Palace and Westminster 1400-1600: A Royal Seat in Transition’, Eds., David Gaimster & Paul Stamper, The Age of Transition (Society for Medieval Archaeology Monograph 98, 1997), pp.93-104. ‘A Country House fit for a King Charles II, Winchester and Greenwich’, The Stuart Court, (2000), Ed., E.Cruickshanks pp.214-239. ‘Royal Palaces’, Tudor England an Encyclopaedia, Ed., Arthur F. Kinney and David W. Swain, (New York 2001), pp. 613-615. ‘The Impact of Royal Landholdings on the County of Surrey 1509-1649’, Aspects of Archaeology and History in Surrey: Towards a Research Framework for the County, (Surrey Archaeological Society, 2004), pp.155-168. ‘The King in the Queen’s Lodgings: The Rise of the Drawing Room at the English Court’, Monique Chatenet and Krista de Jonge, La Prince, La Princesse et Leurs Logis. (Paris, 2014), pp.67-74. ‘Monumental History: The History of the King’s Works’, Malcolm Airs and William Whyte Ed., Architectural History after Colvin (Donington, 2013), pp.94-101. ‘Palaces for a Tudor King’, Country Life, (October 1991), pp.86-89. ‘Palaces for a Nouveau Riche King’, History Today, (June 1991), pp.10-14. ‘All the King’s Houses’, Country Life, (October 10th 1991), pp.86-89. ‘Hampton Court Middlesex. The Palace in the Nineteenth Century’, Country Life, (June 1st 1995), pp.80-85. ‘William III’s Privy Garden at Hampton Court: Points of Entry’, History Today, Vol. 47(5), (May 1997), pp.62-3. ‘Magnificent Chaos, London’s Lost Palace’, Country Life, (February 5th 1998), pp.42-5. ‘The Lost Palace of Whitehall’, History Today, (January 1998), pp.47-53. ‘How London Learned to Eat Out’, Country Life, (November 18th 1999), pp.72-73. ‘London’s Hidden Depths, 160 Years of Archaeology in London’, Illustrated London News, (December 1999), pp.40-42. Newmarket Palace, Country Life (April 24 2008), pp.100-103. The Tudor Kitchens at Hampton Court, a Souvenir Guide, (Historic Royal Palaces, 1991). The King’s Apartments, A Souvenir Guide, (Historic Royal Palaces, 1992). Hampton Court Palace, Official Guidebook, (Historic Royal Palaces, 1992, reprinted 1993 and 1994. Entirely new edition, 1996). The Crown Jewels, Official Guidebook, (HM Tower of London, 1994), (revised and expanded edition). Kew Palace, Official Guidebook, (Historic Royal Palaces, 1995), (With Suzanne Groom). The Banqueting House, Official Guidebook, (Historic Royal Palaces, 1997), (With Suzanne Groom and Susan Jenkins). The Spitalfields Roman, (Museum of London, 1999). ‘From Rags to Riches’, The Book of London Walks II, (Time Out, 2001, reprinted April 2005), pp.284-295. ‘The Palaces of Medieval England’, by T.B. 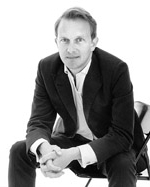 James, Archaeological Journal. ‘The Great Rebuildings of Tudor and Stuart England’, by Colin Platt, Perspectives on Architecture, (December 1994). Michael Thompson, ‘The Medieval Hall: The Basis of Secular Life 600-1600AD’, Journal of the Society of Architectural Historians, 56:4 (December 1997), pp.50-6. Francis Sheppard, ‘London: A History’, Stephen Inwood, ‘A History of London’, & Roger Hudson, ‘London Portrait of a City’, The Times Higher Supplement, March 5th 1998, pp.26-7. John D.Dunbar, ‘The Royal Palaces of Scotland’, Society of Architectural Historians Newsletter, (1999). Peter Ackroyd, ‘London the Biography’, The Times Higher Educational Supplement, 16th November 2000.